In the back half of 2016, much of the conversation in energy markets focused on whether OPEC members would reach an agreement to reduce oil production in an effort to drain the global supply overhang. On Nov. 30, the organization announced a plan whereby OPEC members would reduce their output by 1.2 million barrels per day, led by a 500,000 barrel per day reduction in Saudi Arabia. A follow-up accord involving Russia and other major non-OPEC producers pledged an additional 560,000 barrels per day in production cuts, mostly from insufficient investment and natural declines. Although you can expect the media to focus on compliance with these production cuts, investors shouldn’t overlook developments in the US energy patch, where the oil-directed rig count continues to climb. As we explain in US Shale Plays: Separate and Unequal, much of these reactivations have occurred in the Permian Basin, though operators have also added rigs in the Bakken Shale and Eagle Ford Shale. 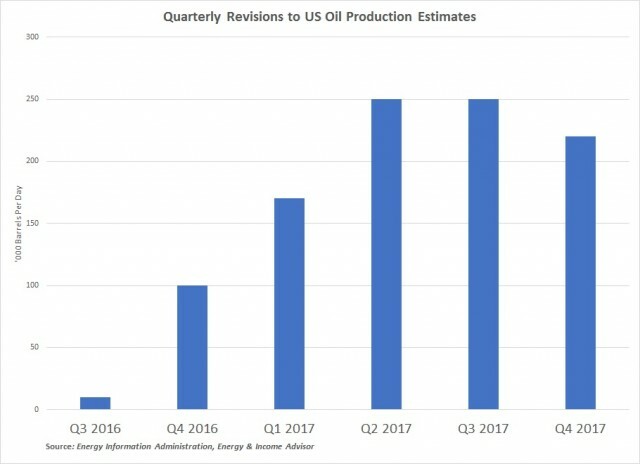 Accelerating drilling and completion activity, combined with improved efficiency and gains in well productivity, recently prompted the Energy Information Administration to revise its estimate of fourth-quarter US oil output to 8.85 million barrels per day—an increase of 100,000 barrels per day. 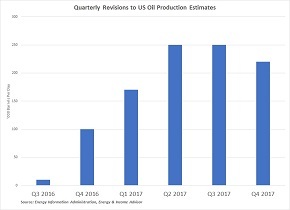 The Energy Information Administration also hiked its estimate of US oil production for the first quarter (170,000 barrels per day), second quarter (250,000 barrels per day) and third quarter (250,000 barrels per day). All told, the government agency expects US oil output to recover to 9.16 million barrels per day in the fourth quarter of 2017. At this juncture, investors should consider taking a partial profit off the table in shares of some of the high-quality exploration and production companies that we added to the model Portfolio in January 2016. Although these names strong balance sheets and franchise assets in low-cost plays should enable these operators to take market share in an environment where oil prices range between $40 and $60 per barrel, they’ve enjoyed quite a run and appear overdue for a breather. As highlighted in our Top 10 Energy Stocks for 2017, we prefer stories that stand to benefit more from volumetric growth than movements in commodity prices—namely, midstream master limited partnerships (MLP) with exposure to the best basins and strongest producers. 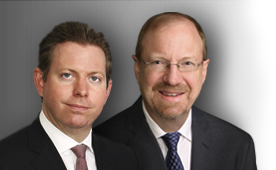 Despite the sharp rally in the Alerian MLP Index, some of our favorites still trade at reasonable valuations, sport yields in excess of 8 percent and boast compelling growth prospects. 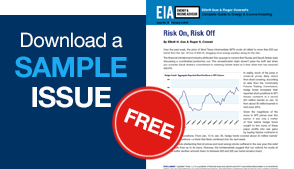 Subscribers should consult the Focus List from the most recent issue of Energy & Income Advisor for our top plays in the current market.